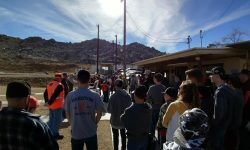 For all Junior trap shooters in the California High Desert. This is NOT an ATA program and is open to all youth (ages 9 through 19) that want to attend, even if they’re not affiliated with a club. 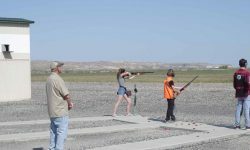 Each competition consists of 4 rounds of trapshooting. Two rounds are shot at the 16 yard line, and the final two are shot at the shooters handicap yardage. Each shooter is placed in a category and handicapped based on their ability. 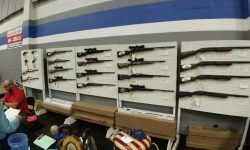 This year, with the generous assistance from the Friends of the NRA and our awesome sponsors, combined with funds raised at our annual banquet, we have been able to provide each shooter with the shells and targets for each round of competition. 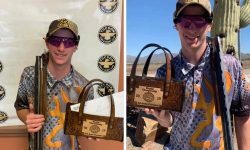 That, combined with NO ENTRY FEE, means that this is one of the best and most cost-effective ways for youth to become involved in shooting sports. 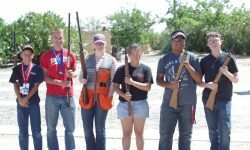 All youth wishing to attend must be familiar with, and properly trained in firearm safety and comfortable shooting trap in a structured environment. Congratulations to Nathanial Pizinger – The 2019 Arizona State Singles Sub Jr Champion. It’s great to see one of our own going onward and upward. 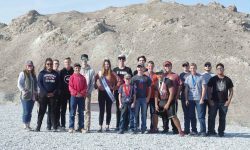 Our third shoot of the 2018-19 season was held at the Apple Valley Gun Club on January 19th 2019. 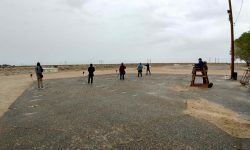 Our second shoot of the 2018/19 season was held at the Mojave Trap Club on December 15th 2018. 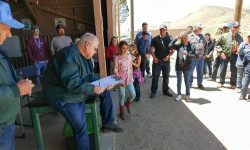 If anyone has any pictures from the shoot that they would like on the website please email them to dwayne@highdesert5star.org Sorry we didn’t make this one.